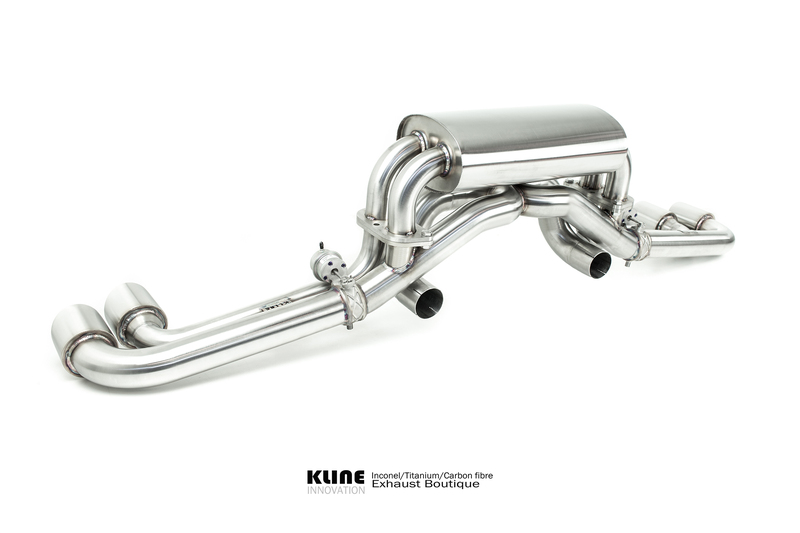 The Ferrari F430, with its striking looks, and single plane crank V8 engine is a formidable supercar. 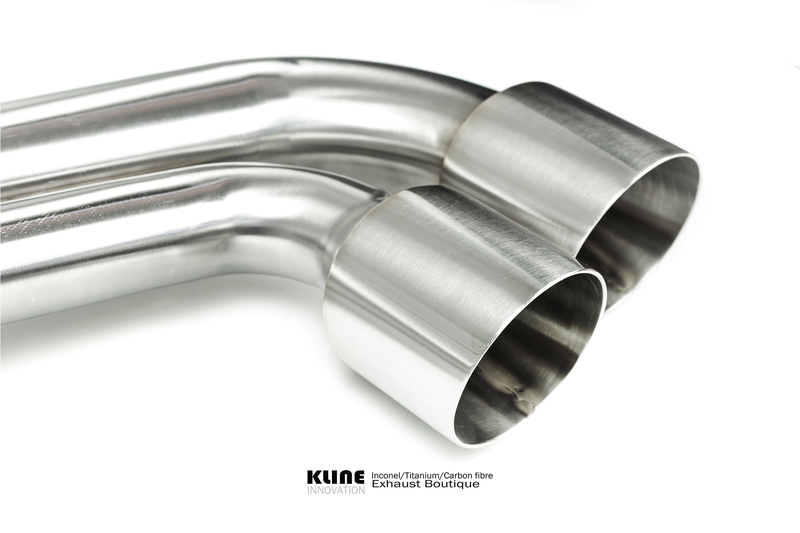 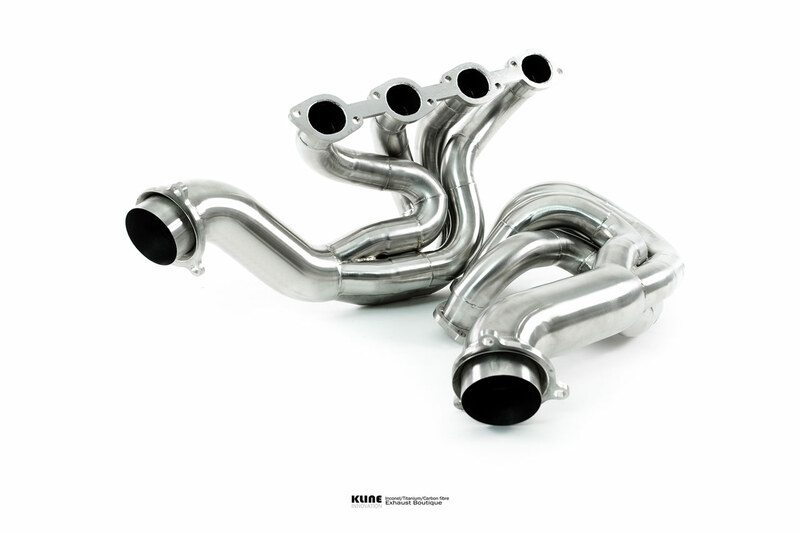 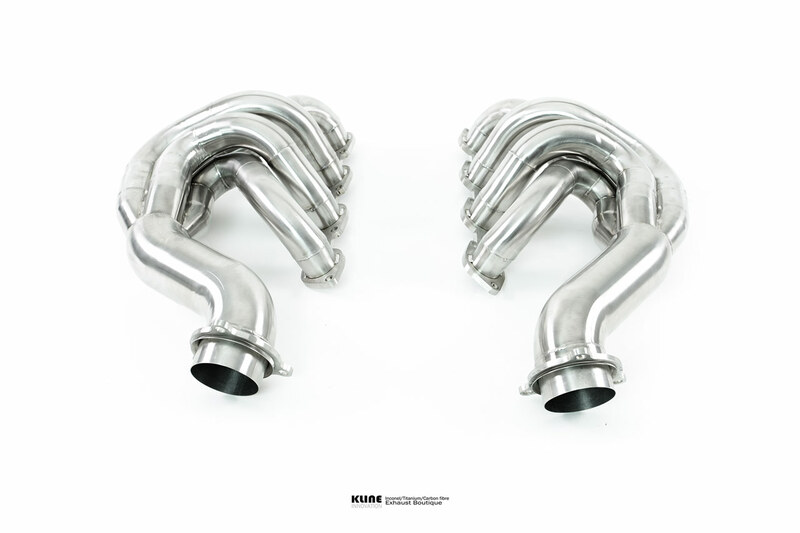 Here at kline we decided to build the ultimate exhaust system for the F430. 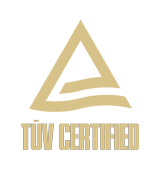 The criteria? 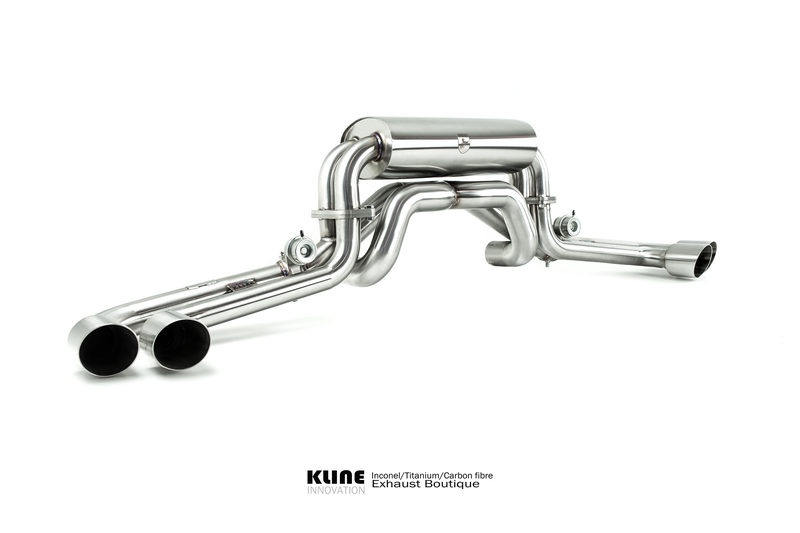 simply to create an exhaust that acheived the best possible performance, sound and weight savings available. 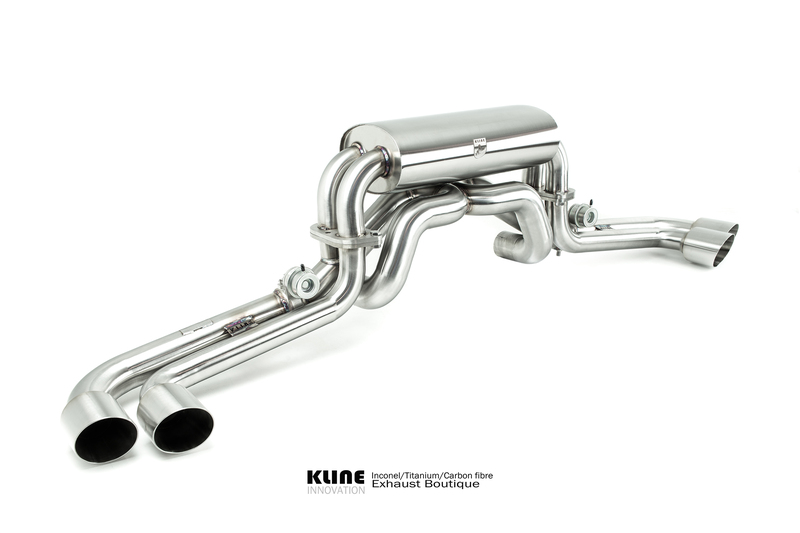 The valvetronic system is actuated by the cars standard vacuum system. 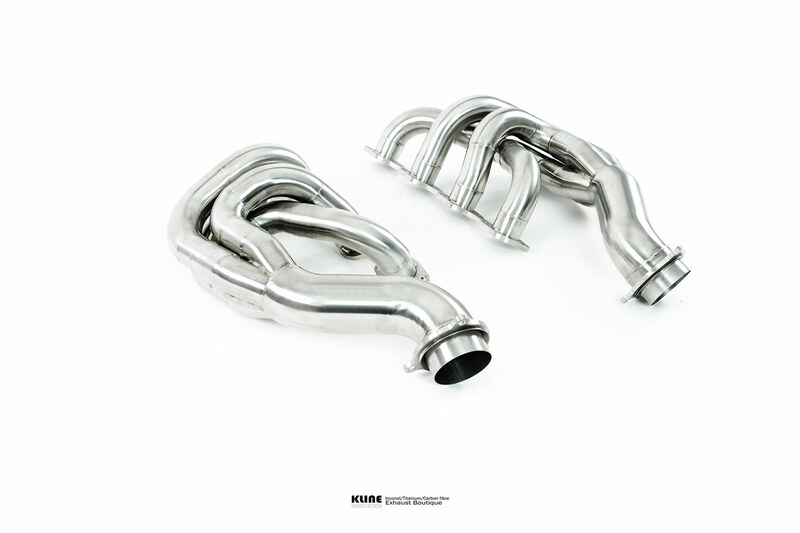 At low revs, gas flow is diverted through a harmonicly tuned silencer, producing an exceptionally smooth exhaust note, that is unobtrusive at cruising speeds, and from outside the car sounds very subtle and refined. 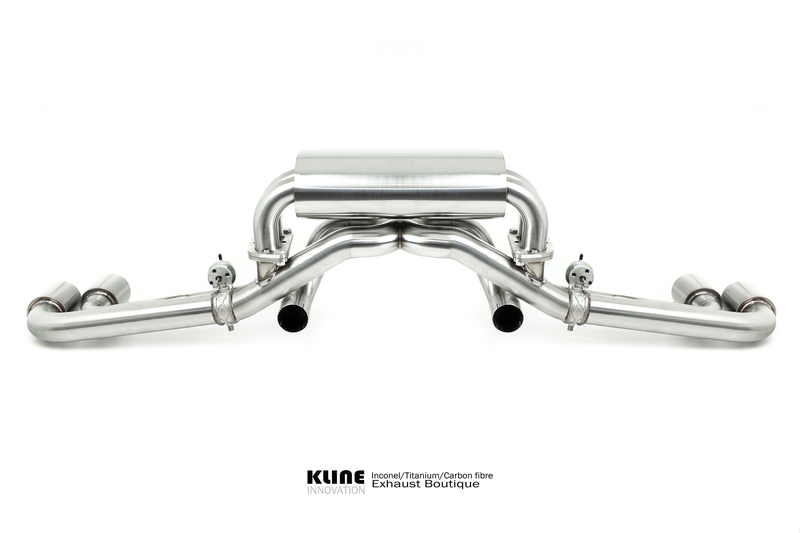 at higher revs, the silencer is completely bypassed and the exhaust gasses are allowed to flow freely through a tight radius x pipe, and tuned cross sections to produce the most incredible high pitched rauciuos exhaust note. 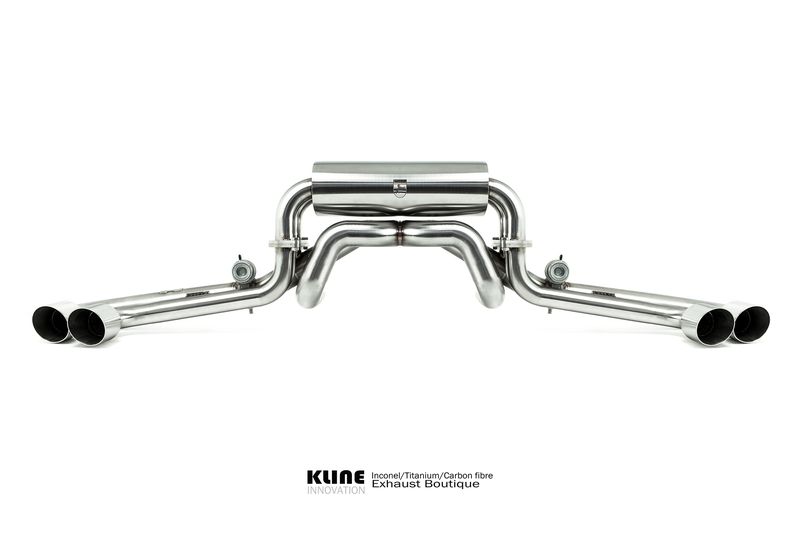 The header primaries, collectors, and bypass cross sections have been perfectly tuned towards promoting peak torque between 6500 to 7500 rpm, thus the resulting system works in harmony with the engines natural power region. 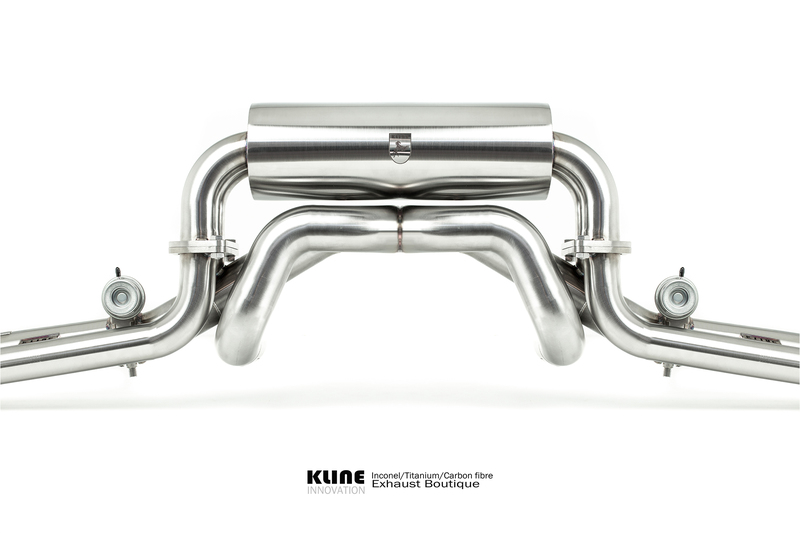 Your kline can also tailor your exhaust to your specific requirements, tell us where you would like your peak torque, how loud you would like it, and material choice ranges from stainless steel, titanium, and inconel 625.